Ships don’t often seem to grab the attention like they once did – while people may fleetingly be interested in the latest cruise ships or mega container vessels, not many creep into the consciousness as they did in times gone by. Perhaps that is because there aren’t enough haunted ships these days? Last year saw one of the spookiest maritime finds since the “Marie Celeste” when eleven mysterious ‘ghost ships’ were discovered off the coast of Japan with over 20 skeletons on board. Four vessels had originally washed up in early November, and these were followed by seven more in December, all spotted drifting in the Sea of Japan – with their horrific cargo. Rescuers made it onto the vessels – only to be faced with real horror…the rotting remains of more than a dozen sailors. Rescue teams said the remains were “badly decomposed” and almost “skeleton-like”, reports Japan’s public broadcaster NHK. So there are mysteries still out there at sea. 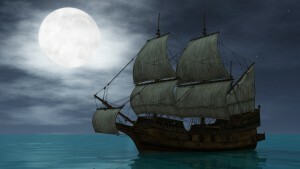 Indeed, it was recently speculated that a ghost ship crewed only by “cannibal rats” was headed for Britain! No, really. The “Lyubov Orlova” had been adrift in the North Atlantic after being cut loose off the coast of Canada. Coastguards have now decided it must have sunk…but has it? For centuries people have been fascinated by the mysteries of the sea, and of life (and death) onboard ships. 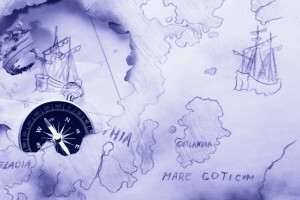 Tales of monsters, mayhem and haunted ghost ships are the stuff of myth and legend. They have shaped much of the view that the general public have grown up with. The sea is dangerous – but to those ashore it is mysterious, scary and perhaps just a little bit evil. Even planes are not immune to the mysteries of the deep – as the tragic loss of the MH-370 has proven. Perhaps pulling all these elements together is the Bermuda Triangle. Around 129 planes have disappeared over the waters in the Bermuda Triangle between 1945 and 2008. People seem to like planes – they identify more with them than ships…for some reason. The exact amount of ships which have gone down in the triangle is unknown – but is thought to run into thousands. The “El Faro” which was tragically lost last year went down in the triangle – but through nothing more sinister than hurricane winds. As far as the public is concerned, there are just no new ghost stories from the sea. Perhaps modern vessels just don’t have the same effect on spirits? Or given the fact that seafarers no longer consider them as home, maybe…just maybe, the ghosts are jumping ship. The best ghost stories made people think about the life of seafarers, the challenges of staying alive – whipped by winds, chased by sea monsters and mighty whales. The tales grabbed the attention, caught the imagination and made it so those that went down to the sea in ships, did so with one eye on the mysterious footsteps behind them. Modern ships and docks just aren’t conducive to frightening stories – well no more scary than the real life suffering of abandoned seafarers being chased by pirates, and the like. So are there any new stories out there? 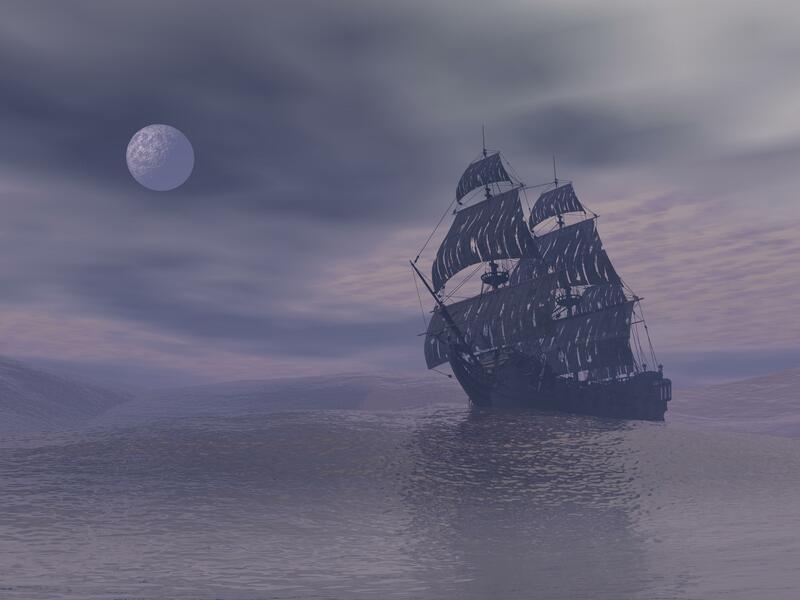 Yes, as it happens there are…there are many stories of haunted ships. 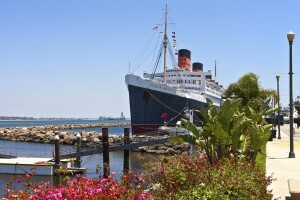 The Queen Mary, now sitting as a hotel in Long Beach, California has many, many hidden tales. Hundreds of terrified guests have experienced the wet footprints emerging from the now empty swimming pool. Through the laughter of small children, and the screams of a jilted lover. Many famous ships seem to be haunted – is that because the ghosts make them well known, or spirits like to haunt the celebrated and legendary? What of the workaday vessels – the bulkers, the box ships – the work horses of the sea, do they creek to the steps of the dead? Do they roll to the hands of lost souls? It seems that some do…with terrifying consequences. 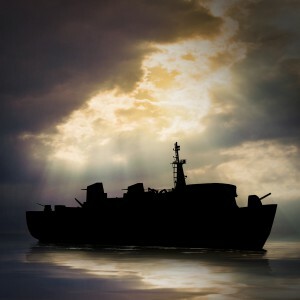 Tales still abound, and we’ll share with you the story an officer once told us of a ship visit by his mother to see him. Another modern day tale occurred when a relatively new container ship arrived into Australia. Sadly the 4th Engineer had died on the trip down, and the first task upon arrival was to get the body shifted ashore, and to complete the paperwork. The vessel was due to be in for 2 days – and in that time a replacement 4th had travelled from the UK, ready to join his first ship as officer. Upon being shown into his cabin, the engineer commented on how amazing the air conditioning was…he said the room was, if anything, too cold. The crew man who had shown him to his cabin felt his hair stand on end. The air conditioning onboard had broken and the rest of the ship was baking hot – so how could this room be so cold? Well, this was the cabin that the 4th Engineer had taken his own life in. Quickly the AB and new engineer ran out grabbing his bags as they went. The cabin was locked and was never used again. So if you walk into your new cabin and it feels a little colder than you expect…perhaps the air conditioning is working well…or perhaps you will have stumbled into the ghost of a seafarer. What tales do you have? Ghoulies in the galley, poltergeists on the poop..? Let us know the terrifying things that happen at sea today or that may be about to happen tomorrow.